Array Technologies, provider of solar tracking solutions, is pleased to announce its expansion to the Australian market and the opening of its office in Sydney. On the heels of Array Technologies' recent expansion to the MENAT region, the new Sydney office opening is another indicator of the company's continued global solar energy leadership. Over its 28-year company history, Array Technologies has expanded from its manufacturing base in the United States to become a global provider of time-proven tracking solutions – with 6GW, 375 projects and 12,000GW years of reliable operation in place today. Array now brings its expertise and innovative technology to the new and rapidly growing Australian solar market with the opening of a local Australian entity and a new business office in Sydney. Alan Brown will serve as sales director and general manager of the Sydney office, where he will lead the rapidly growing Australia-based Array Technologies team. U.S.-based Array sets the industry benchmark for delivering the lowest cost of ownership to utility-scale projects. Array trackers are specifically designed to withstand challenging environments such as extreme temperatures, dust, wind, and snow. With decades of experience dealing with harsh environmental conditions in the United States, Array Technologies is prepared to take on unique conditions in Australia, such as cyclonic winds and challenging soils. Australia's utility-scale solar pipeline is booming, with expected growth of four gigawatts over the next five years alone. Solar energy is growing rapidly in the country as capital investment declines – making Australia a particularly appealing market for yield-boosting technologies like trackers. 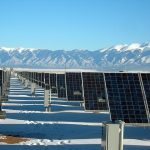 Array Technologies brings valued economic advantages to this market with faster solar tracker installation speeds and reduced maintenance. 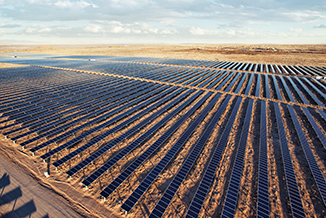 Array Technologies will provide solar trackers for several large-scale utility projects across Australia, including Neoen Australia's three recently announced PV plants in the state of New South Wales, Australia – Parkes (66 MW), Griffith (36 MW) and Dubbo (28 MW) Solar Farms. The projects will be built by Bouygues Construction Australia with expected completion by the end of the year. Array Technologies continues to make inroads into the Australian market with more utility-scale announcements on the horizon.